The Holiday Inn Capitol, a hotel wedding venue in the Washington, D.C. area, welcomes couples seeking a modern venue for their wedding day. 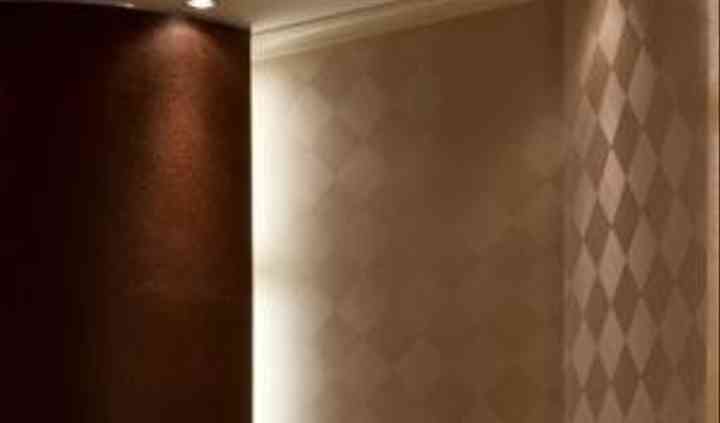 This city venue offers two tasteful and elegant ballrooms for couples to choose from in the heart of downtown Washington, D.C. Couples will find this venue just a three-minute walk from the Smithsonian National Air and Space Museum on the National Mall. 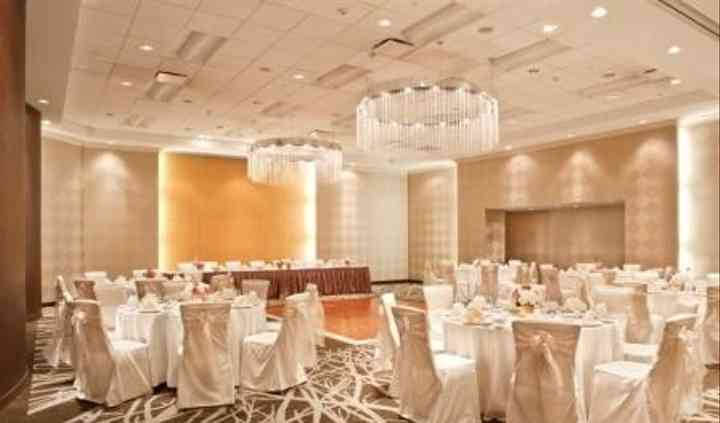 Couples can invite up to 220 guests to their wedding at the Holiday Inn Capitol. This venue has two sophisticated ballrooms where couples can host their ceremony, reception, bridal shower or engagement party. These ballrooms are tastefully decorated with simple elements. This allows couples and wedding planners to come in and design the rooms in a way that matches the style and overall personality of a couple's wedding. In one of the two spaces, large circular chandeliers, each with individual strings of light, hang from the ceiling along with recessed and wall lighting. These fixtures illuminate the fawn-colored room and stately columns. The other ballroom boasts a more golden color palette, from the metallic golden accents on the overhead chandeliers to the coloring of the carpet below. Couples and guests will find ample space upstairs in the hotel where they can stay the night--or the weekend--after the wedding. There are 536 guest rooms to choose from, all with stylish and modern amenities. The coziness and sleekness of these rooms will ensure guests never want to leave. 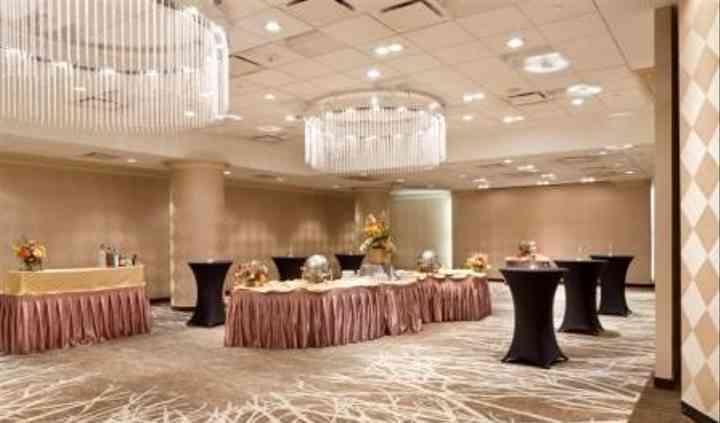 The Holiday Inn Washington Capitol was an awesome venue and I am so happy that I chose them as my Wedding and Reception Venue. The Banquet rooms of this hotel are amazingly beautiful. The staff is ... Read more welcoming and very accommodating. I spent a year planning my wedding and their staff accommodated every need and request that I threw their way. They not only made me feel important, but went out of their way to make sure that I was satisfied. On the day of my wedding, there were many last minute changes, as in most events. The Holiday Inn Washington Capitol adjusted accordingly, as if there was never a change. I truly appreciate all of the hard work this Vendor put in to make my day nothing less than perfect. This was by far the most affordable option for our wedding hotel block, and the location is superb! The rooms were fine, although several of the hallways smelled like vomit. The bridal suite was on ... Read more the second floor near the VRE, with no view, little light, and a broken refrigerator. Additionally, there was quite a lot of confusion as to the terms of our block reservation. The reservation process for our rehearsal space was easy. In sum, this hotel is in a great location and will suffice so long as your guests don't need anything fancy. Just make sure that you clarify EVERYTHING in your contract.